ONCHAN, Isle of Man – November 21, 2016 – The Brazilian Series of Poker (BSOP), which is sponsored by the world’s largest poker site, PokerStars, an Amaya Inc. (Nasdaq: AYA; TSX: AYA) brand, , kicks off on November 22 at the Sheraton WTC in São Paulo. The much anticipated series runs until December 1 featuring a schedule of 36 events with tournaments ranging from R$460 to R$15,000 suiting both recreational and professional players. The headline R$3,500 Main Event, which kicks off on November 25, has a guaranteed prize pool of R$5 million, with R$1 million going directly to the winner. The last stop of the season is always a special event, as it is the last chance to get more points towards the Brazilian poker championship, which comes to a conclusion during the BSOP Millions where the 2016 Brazilian Player of the Year will be crowned. Brazilian Kelvin Kerber is the man to beat, but is closely followed by Rodrigo Caprioli, who finished 5th at the European Poker Tour (EPT) Season 8 Main Event. Current rankings can be found here. The 2015 BSOP Main Event sported a field of 3,457 players and paid out R$8,632,500 ($2,300,932), which made the BSOP the biggest poker tournament in the world outside of Las Vegas. It’s a clear indication that poker is one of the fastest growing sports in Brazil, with about eight million players according to the CBTH (Brazilian Confederation of Texas Hold'em). "The BSOP Millions has become the biggest poker tournament in the world outside of Vegas. This proves that people are getting more and more contact with poker in Brazil, and this next edition of Millions will be marked by great innovations and those taking part can be sure it will be an unforgettable tournament,” said Devanir Campos, Director of the BSOP. Igor Federal Trafane, President of CBTH said: “We are always working together with players, the Confederation, BSOP and staff to produce an unforgettable event. Competitors come from all over the world to São Paulo to play the BSOP Millions, a responsibility that motivates us to create a historical event for players." The BSOP is most important poker tournaments held in Brazil since 2006. 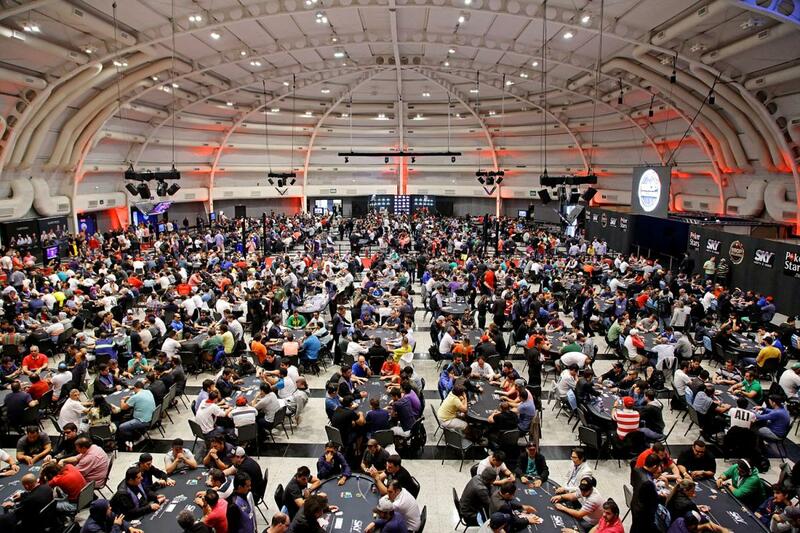 Today it is the largest poker event in Latin America, with a record of 3,457 participants in the final stage of the season 2015 and with this reaches the status of world's second largest poker tournament. The BSOP takes place in some of the best tourist destinations in Brazil and some of the largest cities in the country. The BSOP in 2016 brought together more than 1,000 participants in each edition.